Please note: 10 Great Books 2018 is now fully booked with a significant wait list. If you wish to be placed on the wait list regardless, please email Brittany Wilkins. To avoid missing out on future programs, you can join our mailing list. The Faculty of Arts proudly presents 10 Great Books: a Melbourne Masterclass designed to challenge, revise, and reveal the legacy of great books. Each month, from February to November, we explore a text in a lively masterclass environment, guided by internationally renowned academics and industry experts. In 2018, we celebrate the 200th anniversary of Shelley's classic Gothic novel Frankenstein; explore the re-working of Chaucer's epic poem, Trolius and Criseyde and Joyce's re-working of Homer's Ulysses; we will unpack Shakespeare's Julius Caesar with the associate director of Bell Shakespeare; assess Tennessee William's Cat on a Hot Tin Roof; confront several controversial political works including Orwell's Nineteen Eighty-Four and Arendt's Eichmann in Jerusalem: a report on the banality of evil; we will debate the revolutionary social commentary of Swift's A Modest Proposal and Las Casas' sixteenth century indictment of Spanish colonialism, A Short Account of the Destruction of the Indies. Our Australian text is Patrick White's novel about a doomed nineteenth century expedition into the outback: Voss. Chaucer’s Troilus and Criseyde (completed in the 1380s) is a masterpiece of medieval English writing: the story of a doomed and secret love affair that takes place during the Siege of Troy. We will read this poem in the verse adaptation by Lavinia Greenlaw, A Double Sorrow. Greenlaw distills Chaucer’s 8000-line romantic epic into a sequence of short poems. This book is a milestone in the long history of modernising Chaucer. Greenlaw writes, “Troilus and Criseyde is the greatest account you will ever read of people arguing themselves and each other into and out of love.” We will also spend a bit of time looking at Chaucer’s original text and some of the manuscripts of this beautiful poem. 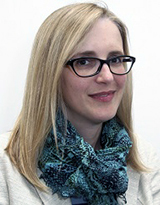 Professor Stephanie Trigg, Redmond Barry Distinguished Professor of English Literature, is a medieval scholar whose books include Shame and Honor: A Vulgar History of the Order of the Garter (2012) and Congenial Souls: Reading Chaucer from Medieval to Postmodern (2002). Stephanie teaches medieval and medievalist literature in the English and Theatre Program, and is Chief Investigator with the ARC Centre of Excellence for the History of Emotions. In the summer of 1816, 19 year-old Mary Godwin found herself cooped up inside Villa Diodati on the shores of Lake Geneva. In this famous ‘year without a summer,’ cool temperatures and heavy rain kept her and the other guests indoors. To pass the time, the group, which included Lord Byron and Percy Bysshe Shelley, settled on a ghost-story competition, the most famous outcome of which was Frankenstein (1818). This story has proved to be one of the greatest myths of all time. Over the 200 years since it was published, Frankenstein has inspired more adaptations for theatre, film, and television than any other modern narrative. Why is this scientific fable so fascinating? This lecture will historicize Frankenstein's monster as well as ask how the monster connects with today's hopes and fears about synthetic biology, genetic engineering, cyborgs, and artificial life. Professor Deirdre Coleman, Robert Wallace Chair of English, is an expert on eighteenth and nineteenth century literature. Her books include Romantic Colonization and British Anti-Slavery (2005), Minds, Bodies, Machines, 1780-1930 (2011), and Henry Smeathman, the Flycatcher: Natural History, Slavery, and Empire in the late Eighteenth Century (2018). James Joyce's Ulysses (1922) is universally considered one of the greatest landmarks of literary modernism. Set on 16 June 1904 - the day Joyce went on his first date with his wife-to-be Nora Barnacle - the novel follows the adventures of Leopold Bloom, advertising canvasser, around Dublin. Paralleling the events of Homer’s Odyssey, Ulysses is at once encyclopaedic, experimental, witty, obscene, obscure, frustrating, and entertaining. Although Joyce had long left Ireland for continental Europe, his portrait of the city and its characters has proven so captivating that ‘Bloomsday’ is now celebrated not only by Dubliners, but by literary enthusiasts worldwide. The themes of Voss endure across Australian history and culture, raising fundamental questions about the attachment of people to this land - and of men and women to each other in such a land. In this masterclass, Jonathan Mills will explore the language of Patrick White, the music of Richard Meale and the lyrics of David Malouf in a presentation that argues for the epic quality of White's great novel having another manifestation as an opera. 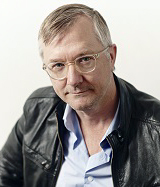 Professor Sir Jonathan Mills is a prominent, Australian-born, composer and festival director of several award-winning operas and works for chamber ensemble and orchestra. He has been director of various festivals in the Blue Mountains (near Sydney), Brisbane, Melbourne and Edinburgh, UK where he was the director of the Edinburgh International Festival between 2007 and 2014. He is currently Director of the Edinburgh International Culture Summit, a UNESCO recognised biennial meeting, Enterprise Professor in the Faculties of Melbourne School of Design and VCA/MCM at The University of Melbourne and Visiting Professor and Trumbull Fellow at Yale University. In 2016, he was the festival director of Cultural Collisions at The University of Melbourne. German refugee from Nazism, Hannah Arendt, travelled to Jerusalem in 1961 to cover the trial of Adolf Eichmann for the New Yorker. Eichmann, accused of a key role in the Final Solution, had been kidnapped by Israeli agents from his hiding place in Argentina, and brought to court in Israel. Arendt’s account of the proceedings provides a compelling narrative about how the Nazi state organised the mass murder of Jews and others. Arendt found Eichmann a mediocrity, a man without insight into himself or his crimes. Eichmann, she concluded, demonstrated the ‘banality of evil’ when criminal activity is organised on an industrial scale by an unimaginative bureaucrat who makes possible the death of millions. Arendt’s reports, compiled as Eichmann in Jerusalem, caused much controversy on publication in the United States. Half a century on, much scholarship has explored the issues in contention, from the character of the Nazi state machinery to the role of some Jewish community leaders in working with the Nazi regime. Though the controversy has receded, the difficult questions raised by Hannah Arendt about the nature of evil remain as disturbing as ever. 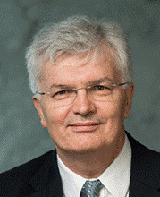 Professor Glyn Davis is a political scientist and Vice-Chancellor of The University of Melbourne. 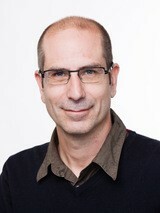 His recent publications include The Australian Idea of a University (2017) and The Republic of Learning (Boyer lectures, ABC Books, 2010). Shakespeare never oversaw the publication of Julius Caesar. He wrote plays, not books, and they only came to life when interpreted and staged by actors. The action of Julius Caesar hinges on language, and the dialogue in the play is explosive: mob violence erupts, relationships fracture and states crumble, all through the power of the spoken word. Julius Caesar was written in 1599 and was one of the first plays performed at the brand-new Globe Theatre. Shakespeare had always been obsessed with leadership, but in Julius Caesar he focused particularly on the 'performance' of leadership. In this session, we will explore language and performance in the play with the assistance of professional Bell Shakespeare actors. James Evans is Associate Director of Bell Shakespeare, and the director of the company’s 2018 production of Julius Caesar. 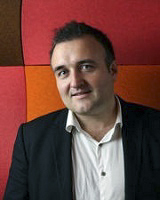 James is a graduate of NIDA (Acting) and holds an MA in English from the University of Sydney. As an actor he most recently appeared as Buckingham in Bell Shakespeare's acclaimed Richard III. Over the last three years, James has directed Macbeth, Romeo and Juliet and A Midsummer Night’s Dream. He co-wrote and presented the award-winning iPad app Starting Shakespeare, and co-directed the ABC online series Shakespeare Unbound. As a facilitator, James has conducted hundreds of Shakespeare masterclasses in schools, universities, theatres and juvenile detention centres across Australia, Asia and the United States. Occasionally a text comes along which changes fundamentally the way we view the world. George Orwell's Nineteen Eighty-Four is such a book. During the Cold War - a term Orwell himself coined - it helped us understand the nature of Soviet totalitarianism better than any other source. And now it's helping us understand a new world order of fake news, alternative facts, managerialism, populism and the debasement of language. The nightmare world of Airstrip One isn’t so much a brilliant piece of science fiction as a deep meditation on the world Orwell saw develop around him in the 1930s and ‘40s and which in many ways is still with us. "Don’t let it happen," Orwell wrote, "it depends on you!" Dennis Glover is an Australian writer and novelist. 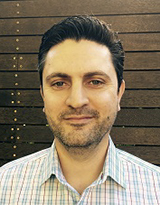 Dennis grew up in the working-class Melbourne suburb of Doveton before studying at Monash University and King’s College Cambridge where he was awarded a PhD in history. He has worked for two decades as an academic, newspaper columnist, policy adviser and speechwriter to Australia's most senior political, business and community leaders. An often outspoken political commentator, his books include An Economy is not a Society, The Art of Great Speeches and Orwell’s Australia. His debut novel The Last Man in Europe tells the dramatic story of how George Orwell wrote Nineteen Eighty-Four. Jonathan Swift’s searing 1729 satire, A Modest Proposal, is one of the most powerful and influential tracts in the English language. A masterpiece of irony and rhetoric, it still has the power to shock and unnerve readers with its jaw-dropping solution to the problem of Irish poverty and English misgovernment: "a young healthy child well nursed is, at a year old, a most delicious and nourishing food, whether Stewed, Roasted, Baked, or Boiled." We find here Swift's trademark 'savage indignation' at its sharpest. But his keen political message is brilliantly couched in the persona of a genial and reasonable pamphleteer. 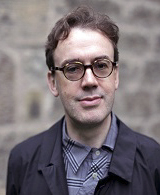 Professor Ronan McDonald, born in Dublin, took his undergraduate degree at the University College Dublin and his Dr of Philosophy at the University of Oxford. He is the author of numerous books and articles on Irish literature and culture. He came to Australia in 2010 to take up an Irish Studies Chair at UNSW and was appointed to the Gerry Higgins Chair of Irish Studies at The University of Melbourne in 2017. A Short Account of the Destruction of the Indies provides an unflinching view of Spanish violence in the New World. Written in 1542 and dedicated to the future Spanish King Philip II, this compelling work of history was also an exercise in propaganda. Dominican priest Bartolomé de Las Casas had already spent much of his life in the Americas when he wrote A Short Account, and he vividly describes the massacres, torture and slavery that his countrymen inflicted upon the indigenous population. His aim was to change the way that Europeans thought and acted. Did he succeed? His widely-read and often-reprinted book would play a pivotal role in triggering fiery European debates about human dignity in a global context. 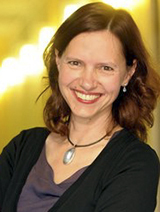 Dr Jenny Spinks is Hansen Senior Lecturer in History at The University of Melbourne. She teaches and researches European history in the early modern period, and she has a special interest in sixteenth-century book history. Her interests include religious conflict and polemical print culture, and she has co-curated exhibitions on early modern apocalyptic and supernatural beliefs at the National Gallery Victoria in Melbourne and the John Rylands Library in Manchester. 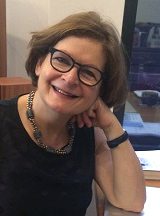 Her publications include Disaster, Death and the Emotions in the Shadow of the Apocalypse, 1400-1700 (co-edited with Charles Zika, 2016) and Monstrous Births and Visual Culture in Sixteenth-Century Germany (2009). Tennessee Williams' Cat on a Hot Tin Roof (1955), known to us on stage, screen and as a text, is enjoying a revival with major new productions appearing around the world. Larger than life characters such as Big Daddy and Big Mama, the ‘troubled’ marriage of Brick and Maggie, and tension-filled scenes that dissolve into jazz are brought to life with new technologies of design and staging. The play text is also popular on secondary and tertiary curricular, supported by new thinking about its themes of wealth, patriarchy, family and race, and its tight three act structure. This masterclass focuses on the prescience of the play’s interweaving of class, gender, sexuality and race within a heightened realist aesthetic that marks Williams as among the more poetic visionaries of modern American drama. 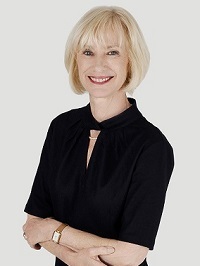 Denise Varney is Professor of Theatre Studies at The University of Melbourne, where she is also a Deputy Dean of the Faculty of Arts and co-director of the Australian Centre in the School of Culture and Communication. She teaches Australian Theatre and Performance, and Modern and Contemporary Drama. Her recent books are Performance Feminism and Affect in Neoliberal Times, co-edited with Elin Diamond and Candice Amich, and Governing Culture: Patrick White’s Theatre and the Adelaide Festival of Arts, co-authored with Sandra D’Urso. Melbourne Masterclasses at The University of Melbourne in the Faculty of Arts are high quality, non-award educational experiences open to all, offering a curated overview of an area of study. They are a combination of lectures, facilitated discussions for greater audience participation, including refreshments and exclusive and social learning opportunities.